Spring gardens are in bloom, and Valley home tours are in full swing. For the first time this year, California-based Dwell magazine is hosting a tour of modernist metro Phoenix homes. 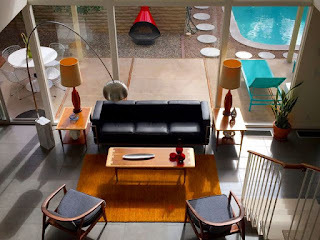 The upcoming (always sold-out) Modern Phoenix Home Tour explores uptown Phoenix and is hosting more than a dozen free and ticketed events in April for anyone interested in Arizona architecture and architectural history.